Rosita de Cacao, "Drink of the Gods". Rare aromatic tree from Mexico, an obscure spice. Fragrant flowers that are closely associated with cacao, mixed with chocolate and other ingredients to concoct Oaxacan cacao drink tejate, a spicy energy beverage with medicinal and religious significance - "the drink of the gods". The plant is hardy to the 30s F. Round crown shape, does not require pruning and looks nice and neat as a landscape centerpiece or specimen plant; easily grown in container. Rangoon Creeper - double flower variety. 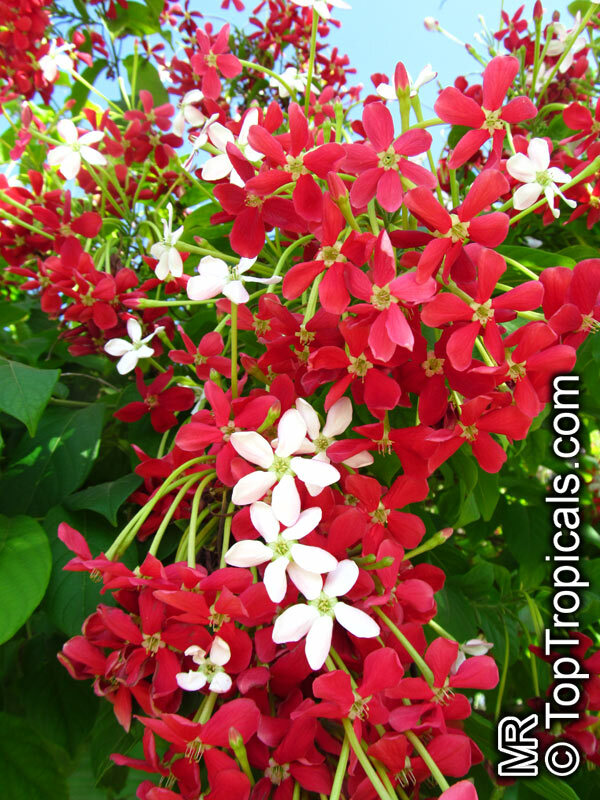 An extremely beautiful shrubby vine with pale-pink to deep crimson star shaped flowers, covering the entire plant when in full bloom. 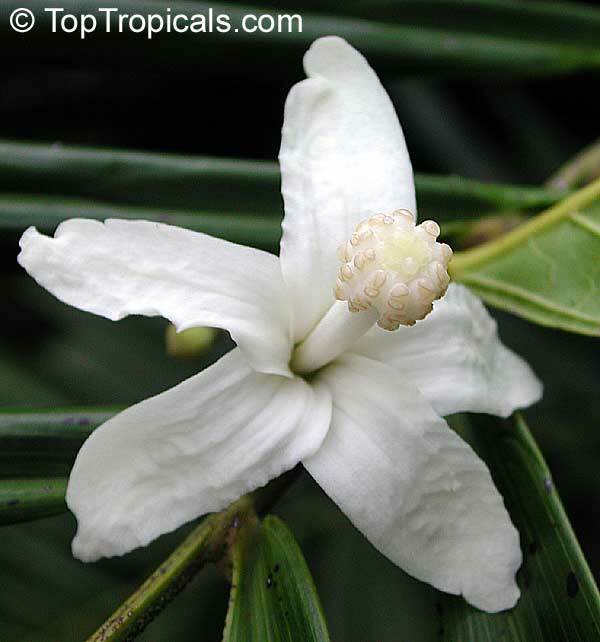 It's scent is unforgettable, fruity and intoxicating! The flowers are born in clusters and each flower has many variations of color, depending on how old the flower is. The flower starts out white and or pink striped and turn solid pink and finally dark pink on maturity. 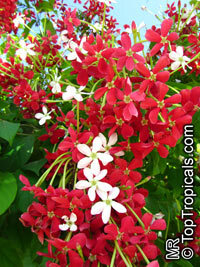 Rangoon Creeper - single flower variety. Spectacular bloom, flowers change color from white to pink to red. Sweet fragrance. 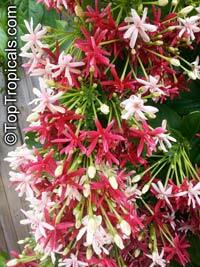 Very fast growing, perfect for covering a fence or pagoda.